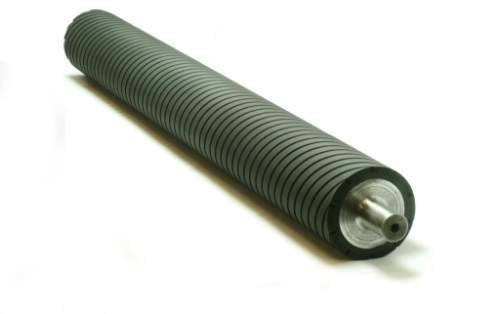 Sanders Unlimited has the ability to recover, grind and balance all types and sizes of rollers for a wide variety of industries including woodworking, metal working, roll coating and fishing lines and laminating/gluing. We can offer specialized rubber formulations which provide “on target” competitive prices and “on time” delivery. Fast Delivery – rush orders 7 to 10 business days (expedite charges may apply). Rubber Expertise – Sanders Unlimited can recommend materials to meet your specific needs. Capabilities – equipment to handle 210″ long x 36″ diameter rollers weighing up to 5,000 lbs.